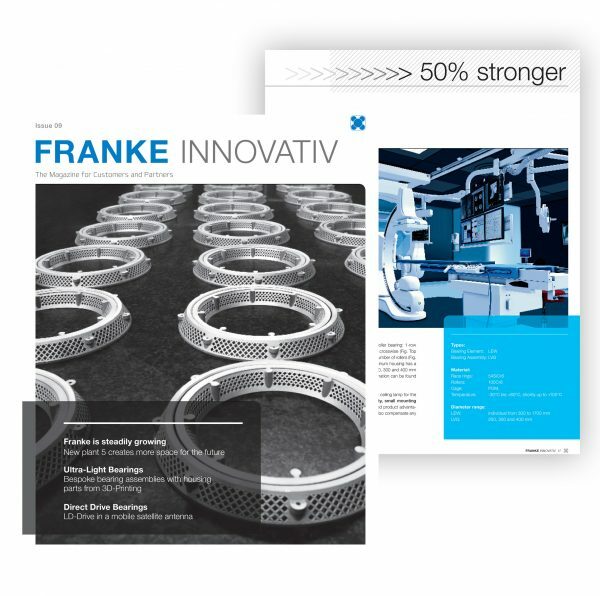 The latest edition of Franke Innovative is out now. journey in our 2020 strategy. With our magazine Franke Innovativ we inform you about what we do for the sustainable development of our company. Franke is currently very active and on the move. A clear sign of our development is the newly created Plant 5, which represents the largest investment in the company‘s history. The extended capacities allow us to optimize the production structure throughout the company. Further machines were purchased and through a matrix organisation the company works on product lines that independently serve their respective products. You as our customer benefit from all these measures through high delivery reliability and short delivery times. Efficiency and customer service are based on our corporate values. We do everything we can to satisfy you on our journey from the first request to the delivery of your order and beyond. What we are doing to achieve this has beensummarized under the Franke 2020 strategy. The details are explained below. Our new Franke Technicum creates space for training and ideas and builds on the inventive genius in our region. Bypooling training and development, we find many synergies. Our training department is becoming more attractive and fulfills the ever-increasing demands on a modern training company for the skilled workers of tomorrow. 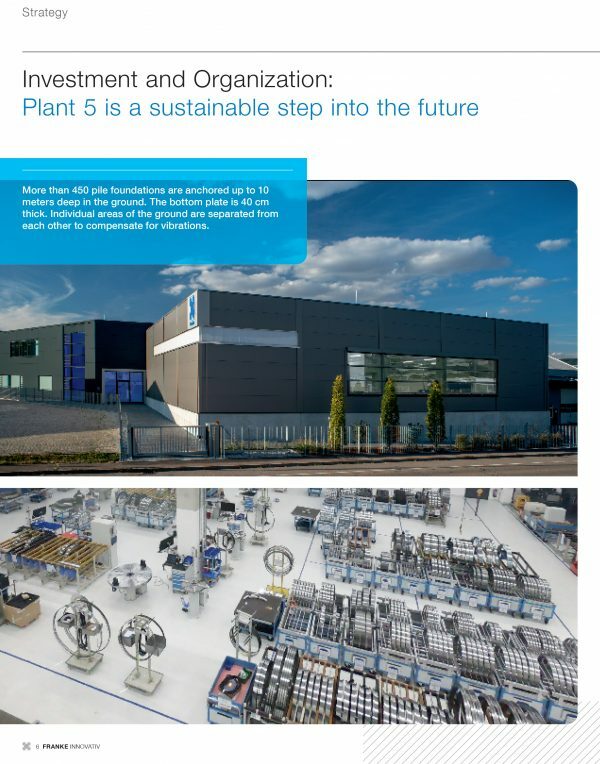 This is where innovative new products as well as machines and plants for the production of our lightweight bearings and linear systems are regularly produced. We have collected examples of interesting applications for you in this issue.